Sonics regular Monday practices at Klein High and Marshall High are cancelled due to observance of the Memorial Day holiday. Until further notice, the Tuesday/Thursday practices at Sharpstown High School have been put on hold due to demolition work being done on site that is directly impacting the track. We will resume Wednesday practices at Westbury High School while investigating its availability on Tuesdays and Thursdays. We should this question resolved before the end of this week. Due to STAAR testing this week, there will be no Sonics practices Monday thru Wednesday. Our normal schedule will resume on Thursday. The 24th Annual Sonics Relays will be held Saturday, May 12 at Klein Memorial Stadium. 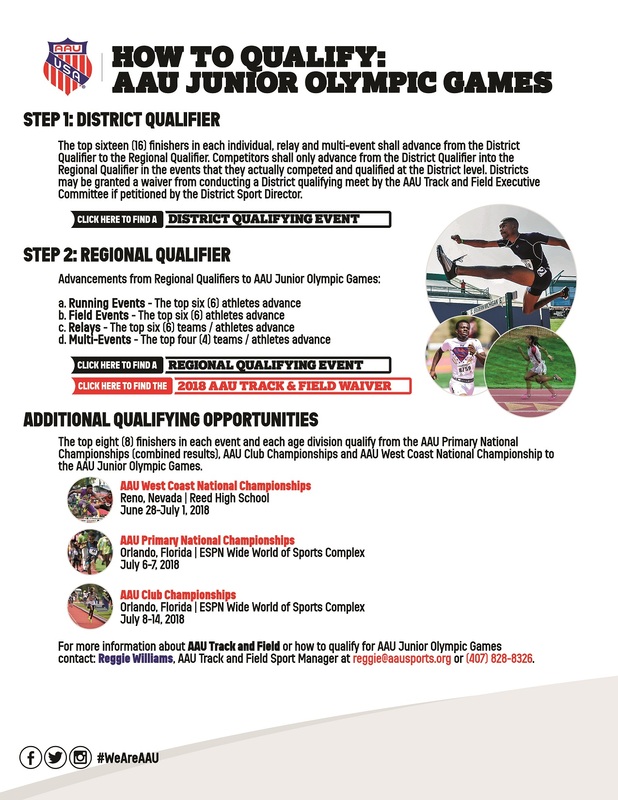 This is traditionally one of the largest and most well-run meets in the AAU Gulf District and maintaining this high standard requires lots and lots of VOLUNTEERS! If you are connected with the Sonics in some manner, please consider lending a hand during the meet and invite your friends and family members as well! We’ve set a list of roles needing to be filled at the following link. Just scan through the list and choose one that fits your availability. It’s that simple! The Houston Marathon Foundation’s Susan Poorman Blackie Scholarship is now available through May 22nd. The Susan Poorman Blackie Scholarship is intended for exemplary students who have run cross country in high school. They need not be the best runner on the team, but an overall love of running is key. They also do not have to be planning on running on a collegiate team, but they must be Texas college-bound. The scholarship is for $20,000 over the course of four years, and the application window closes on May 22nd. A scholarship has been named after long time Houston Marathon Committee Board Member and Houston Marathon Foundation Founder, Susan Poorman Blackie. Susan embodied the generosity and volunteer spirit that exemplifies the Houston Marathon community of volunteers who make the event possible each year. It is this, along with her passion for life, helping others and always abiding by the Golden Rule while treating others with respect, kindness and acceptance that we honor her while creating legacy for the Houston Marathon Foundation and our mission to advance running as a healthy lifestyle opportunity. What type of scholarship is available? • Participants are eligible to re-apply for four consecutive years as long as he/she maintains a B average, remains in good academic standing and is enrolled as a full time student in a degree track program. How will funds be delivered? • Funds will be sent directly to the financial aid office and paid directly to the college or university provided by the award winners. 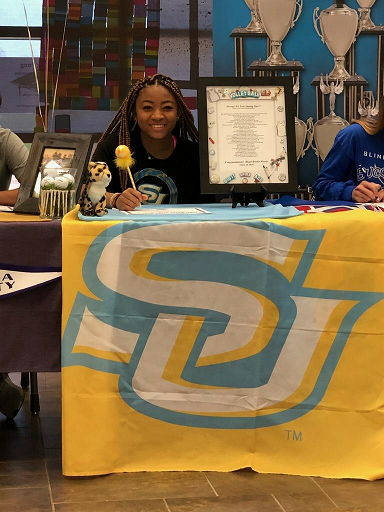 Two former Sonics athletes have signed agreements with universities in Louisiana to play volleyball. 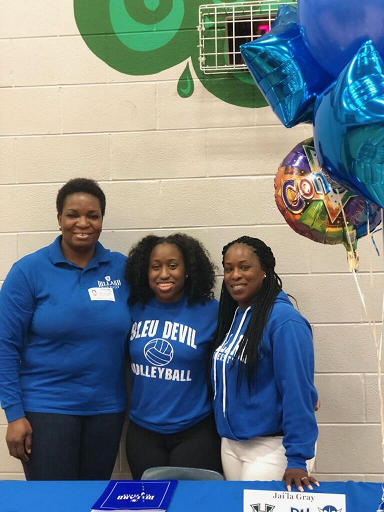 Jai’la Gray, who was a member of the 2009 AAU national champion Bantam Girls 4×400 Relay team, will be taking her volleyball skills to Dillard University in New Orleans. 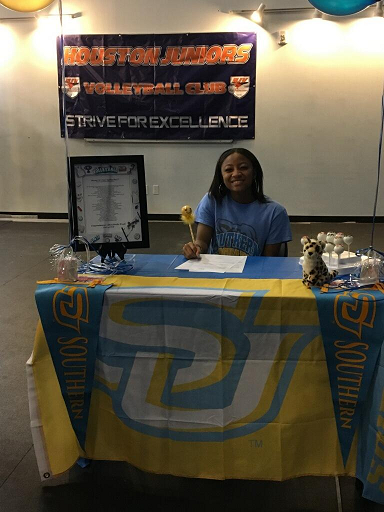 Khari Woods, daughter of Sonics coach Tim Woods, will be competing for the Southern University Jaguars in Baton Rouge. 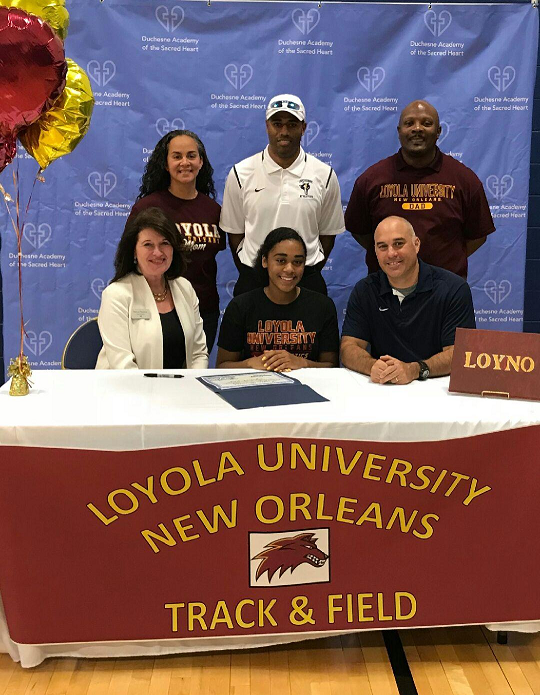 Sonics team member Alyssia Ewing has just signed an offer to compete in the track and field program at Loyola University in New Orleans. 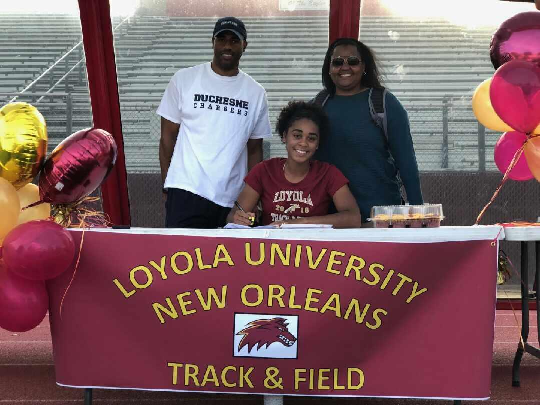 She is currently a senior at Duchesne High School where she has been on the track team led by Sonics coach, Goldy Jackson. During her tenure with the Sonics, she has competed in the sprints and discus throw. Due to STAAR testing this week, there will be no practice at Sharpstown on Tuesday, April 10 in order to give our youngsters a better opportunity to prepare for their tests and be well-rested. We will, however, be having Wednesday practices at Westbury and Klein.